How on earth do you come up with the plan to shoot a bike movie, in Germany, during wintertime? 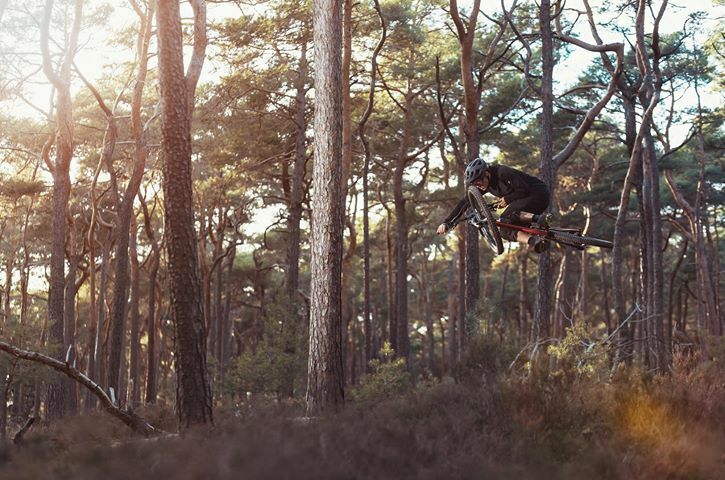 Summer was coming to an end – no more dusty trails, no more cool beers, no more tshirts and spontaneous BBQs. The dirt jump and pump track sessions after work were over for the year. Luckily though we have the Palatinate, which has a lot to offer over the winter. It has a mild climate, with hardly any snow or frost. 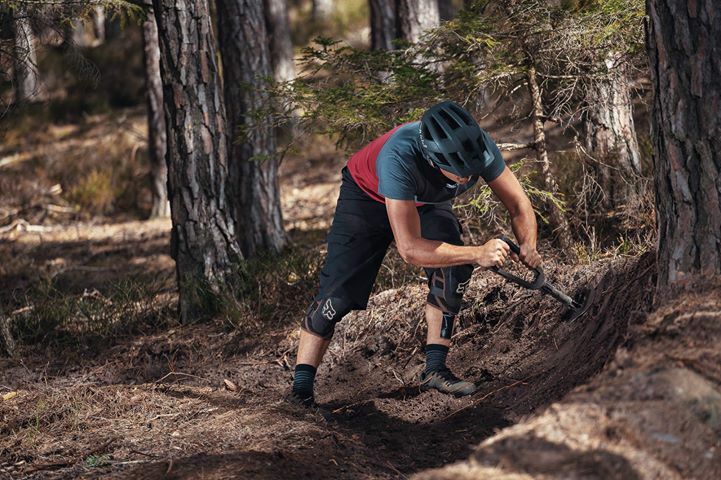 The sun-drenched sandy soil of the pine forests will now finally get some well-deserved rain, and the grip of the tires gets better with every single drop of water. You can feel the tread dig deep into the ground, retaining most of its grip. The pleasure of this is just magnificent! The sandy ground, which turns to dust in summer, can be shaped yet again! And so, nothing stands in the way of some awesome trail building sessions. All the fresh ideas, accumulated over the summer, are eagerly waiting to be brought to life. Who really needs the summer to shoot a rad bike movie?! But before we get ahead of ourselves … who are we anyways?! Johannes and I met a few years ago at the local pump track. A friendship quickly developed and we would often get together, to take some pictures while biking, and also shoot some film. As time went by, our paths parted due to moves and new jobs, so we both took on new challenges for the time being. 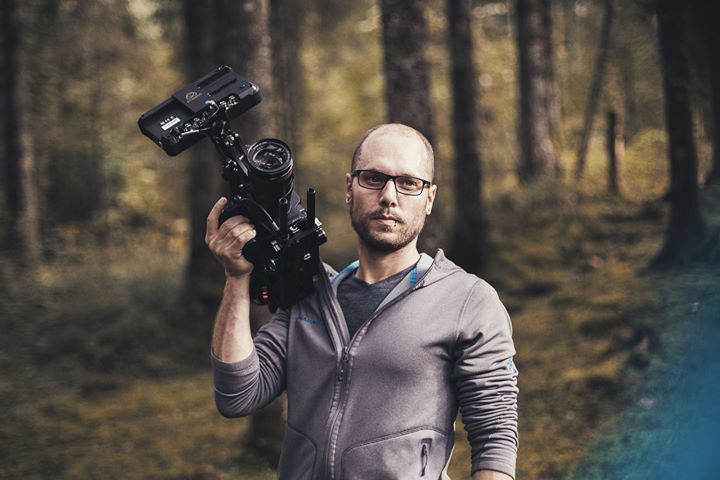 Johannes chose to turn his hobby into his profession and entered the advertising film industry. Here he was able to freely develop his creativity and his skills within a diverse range of projects. His working methods and quality reached completely new levels, and he was able to express himself in front of and behind the scenes. He quickly developed his own style and successfully produced a wide variety of projects. I returned to my roots in the Palatinate – in my eyes one of the best regions in Germany to play around with my bike. At the same time, it was an excellent opportunity to set up an MTB skills school with my girlfriend and to dig new trails. 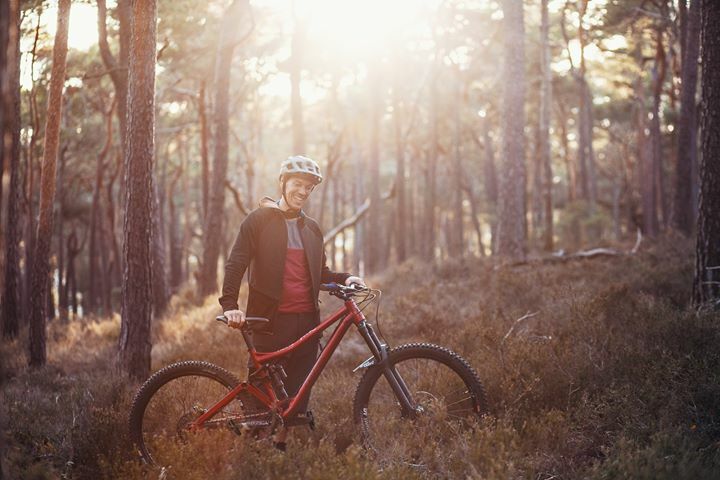 The ever-growing local community is just great and is constantly creating new trails. Johannes and I met in the autumn of last year by chance, and spontaneously decided to set up a joint film project. First and foremost we wanted to have a good time and enjoy ourselves. Over the weeks and months, our ideas became more and more developed, while the project matured. Everyone wanted to show how they had improved their skills over the years. And just like that … winter had arrived and the Palatinate was just around the corner – shooting could begin! The necessary trails were built, we did some test shots, perfected my skills and started shooting. After 7 days we finally had everything in the box, including some fancy photos. Lukas, an old friend of Johannes, had joined our group. As a creative artist and musician, he is always open for fresh ideas and offered to compose a fitting soundtrack for our shoot. His style was perfect for our bike film – thank you very much! After a period of euphoria and motivation in postproduction, it was done, the film was finished! We can undoubtedly say that we had a damn good time, which we will definitely repeat. 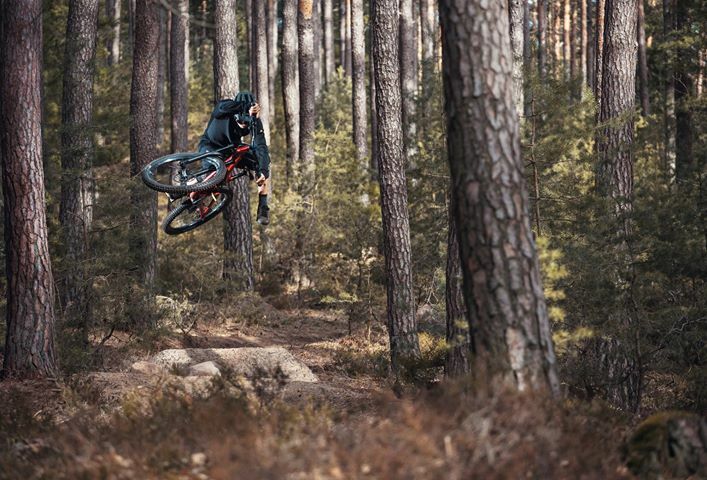 Hopefully, you’re pumped up now to go into the woods, armed with a bike and shovel! At this point a big shout out to Triple2, who supported us with their perfect outdoor clothing. Furthermore, I would like to thank Last Bikes, Smith Optics and Vertical-Ride as long-term partners of our MTB skills school.